Purchase POCARI SWEAT and win attractive 2XU Prizes! 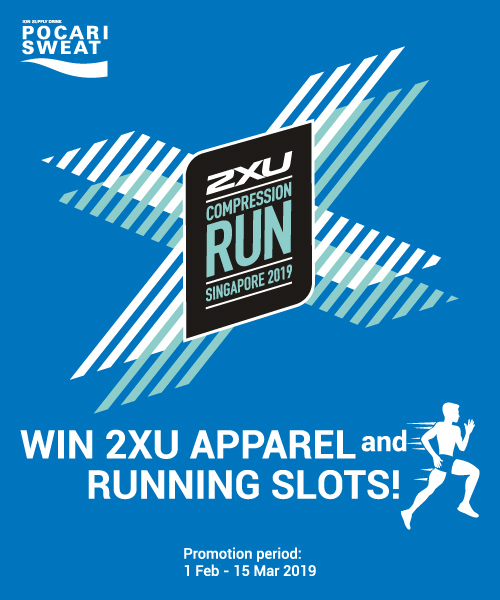 From 1 Feb to 15 Mar, spend $8 on POCARI SWEAT products and stand to win 2XU apparel / 2XU run slots! Exclusive to NTUC FairPrice / Cheers! Stand to win these prizes! From 1 Feb to 15 Mar, buy $8 nett (after any existing prevailing discounts) of POCARI SWEAT products in a single receipt from NTUC FairPrice / Cheers (including FairPrice Online). Take a photo of the receipt, showing clearly the transaction number at the bottom of the receipt. Send the receipt to POCARI SWEAT via Whatsapp on 8504 3277. Keep receipt for verification purposes. This contest is open to all residents of Singapore except employees and immediate family members of employees of POCARI SWEAT and Lam Soon Singapore Pte Ltd. Entries must be sent via WhatsApp from 1 Feb to 15 Mar, 2359hrs, with receipts dated from 1 Feb to 15 Mar to qualify. Purchases must be in a single receipt. Only purchases from NTUC FairPrice / FairPrice Online / Cheers are eligible. For FairPrice Online entries, please show clearly the date of purchase as well as invoice number. Multiple entries are allowed but each entry must be accompanied by a fresh new purchase receipt not submitted for previous entries. Purchase prices after discount are taken into account to meet the min. $8 purchase value condition. Prizes shown are for illustration purposes only. POCARI SWEAT reserves the right to substitute prizes with products of similar value if necessary. Prizes are not transferrable nor exchangeable for cash. Winners will be selected on a random basis and the judges' decision is final. Unclaimed prizes within one month of notification will be forfeited. POCARI SWEAT reserves the right to amend the T&Cs at any time and at its own discretion without notice.